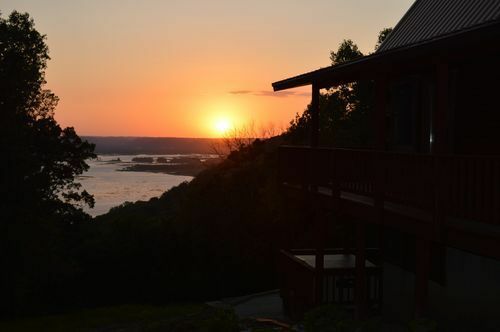 This beautiful cabin is located above the Mississippi River on the ridge. It has a breath taking view of the Mississippi River. The view at night is amazing with the Lansing bridge lit up!! It is a must see vacation home!! !